In a speech at the Third Global News Forum on 26 July 2017, Mr. Chee Hong Tat, Senior Minister of State for Communications and Information & Health, Singapore, spoke about the perils of fake news and how they might be countered. “Digital technology lowers the barriers for content production, allowing anyone to create content and disseminate it widely,” Mr. Chee pointed out. While this democratisation provides access to an unprecedented library of content, there are accompanying challenges. Not all the content is real, accurate, and of good quality. With algorithms on social media platforms prioritising engagement over accuracy, unscrupulous content creators can easily publish misleading information with ‘sensational half-truths and attention-grabbing headlines’, motivated by gains financial, or otherwise. Fake news thrives especially well in echo chambers, where we only see ‘news’ affirming what we already believe and shut out opposing points of view or facts which might prove our beliefs wrong. Mr. Chee also talked about how fake news itself may become more insidious due to technology, using the example of a research team at the University of Washington successfully generating highly-realistic videos of former president Barack Obama talking about terrorism, fatherhood, job creation and other topics using audio clips of those speeches and existing weekly video addresses that were originally on a different topic. The 2017 Edelman Trust Barometer showed a worldwide decline in the level of trust in government, media, businesses and NGOs. But media showed the largest drop from 48% in the 2016 report to 43%. Fake news has damaged reputations for individuals and organisations, led to social unrest and affected election outcomes. In response to the threats, many countries are exploring regulatory measures. Germany recently approved legislation that could threatens social networks such as Facebook with fines going up to 50 million Euros, if they fail to give users the option to complain about hate speech and fake news or refuse to remove illegal content. 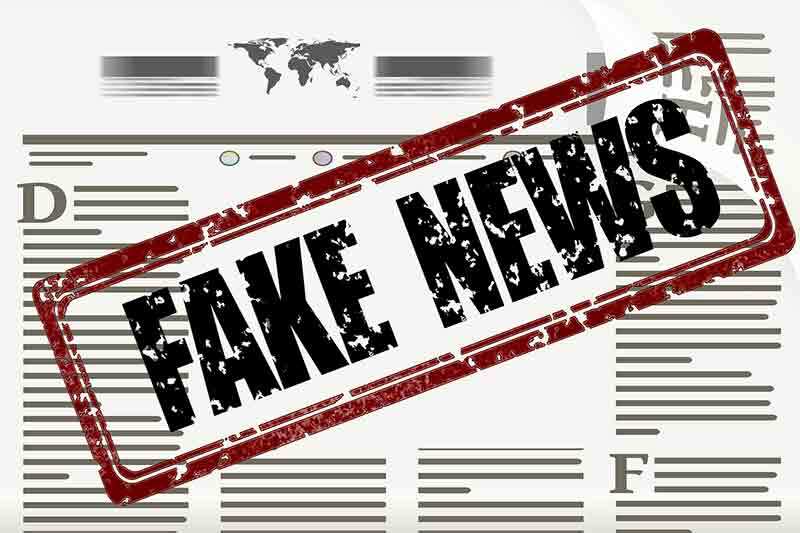 The Ministry of Law in Singapore is developing new legislation to deal with fake news. It is expected to be introduced next year. “We are clear that a regulatory approach cannot be the only solution. The fight against fake news must also entail raising information and media literacy. In addition, we must support the growth of trusted news sources, which the public can turn to if they want accurate and reliable information. These trusted sources include the mainstream media and public broadcasters. They also include credible online sites which have established a good reputation for accurate and objective reporting. The Singapore government has initiated a number of programmes to promote media literacy and online etiquette and counter the proliferation of fake news. S.U.R.E. stands for Source (Look as its origins. Is it trustworthy? ), Understand (Know what you’re reading. Search for clarity), Research (Dig deeper. Go beyond the initial source. ), and Evaluate (Find the balance. Exercise fair judgement). These are four basic concepts that one can keep in mind when assessing the veracity of news. The campaign launched in 2013 aims to get people to start thinking about the information they receive every day and its sources through awareness marketing, training and engaging the public. Some of the activities are dressing up public spaces e.g. libraries, newsstands, eateries, etc., engaging the public via social media e.g. Facebook, mobile app, e-learning resources, etc. and producing learning resources and workshops for teachers/students. The Media Literacy Council (MLC), set up in 2012, helps develop public awareness and education programmes. The members of the Council come from diverse sectors, spanning the media, business, academia, schools, and community organisations. Through its annual Better Internet Campaign and numerous outreach programmes with corporate partners and schools, the Council has increased awareness of media literacy issues in Singapore. While educating the consumers of information is critical, it must be ensured that there are sources providing credible and reliable information. Mr. Chee spoke about how the industry can move forward, while cautioning that no one technology or method can be the silver bullet. “The idea is not to beat fake news at their own game, for example by using more sensational headlines or generating clickbait. That is neither feasible nor desirable. Fake news sites do not have to protect their reputation or check their facts. So we cannot beat them if we play by the same rules,” Mr. Chee said. “Exaggerated claims, misleading content and provocative emotional appeals may capture eyeballs in the short run, but they will tarnish the organisation’s professionalism and credibility over time,” he added. The key to building a value proposition would be a commitment to facts and accuracy, the discipline to remain transparent and impartial in one’s reporting, and a sense of duty to serve the wider public interest. Broadcasters around the world are struggling to sustain viewership and advertising revenues. But it might be a mistake for news organisations to reduce the resources for their newsrooms driven by financial pressures. “While this may make commercial sense in the short term, it will weaken their capabilities in the longer term and affect their ability to produce quality content which are essential to attract and retain viewers. That is like trying to lose weight by shrinking your muscles, it is bad for health and not sustainable,” Mr. Chee said. News organisations need to invest in digital technology to keep up with changes in consumer preferences, as people increasingly rely on online sources for news and information. Content produced for traditional platforms cannot simply be moved online. A different set of skills and approaches are required for digital news. Partnership with technology companies and independent producers would be required to develop creative content and innovative formats. Thought traditional media companies, including ones in Singapore, are successfully building up their online presence, there is no solution yet on how to monetise that to make up for the loss in advertising revenue from traditional platforms. Scale is a crucial asset in the digital era, as most news organisations do not have sufficient scale to compete with Internet giants like Google and Facebook, including in areas such as online advertising inventory and marketing. Partnerships could also help in taking a united stand against the rising threat of fake news.